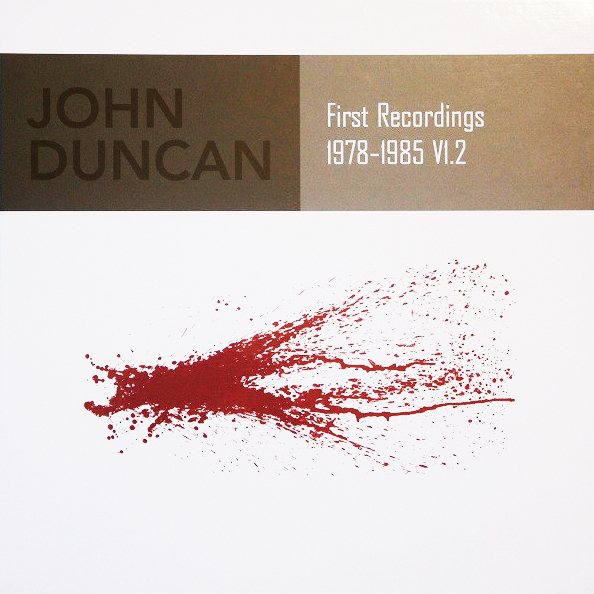 **Limited edition of 600 individually numbered copies with certificate of ownership** The hugely intriguing sound artist and sonic conceptualist John Duncan is subject of a 2nd, sprawling VoD chapter following a first volume back in 2006. Since 1978 Duncan has engaged with a plethora of avant-garde disciplines, amassing a distinguished and exploratory catalogue of sounds on his own AQM and Allquestions imprints, besides many more releases on Touch, Die Stadt, and Planam. He's collaborated with equally inquisitive minds such as The Hafler Trio's Andrew McKenzie, Chris & Cosey, Zeitkratzer, and Pan Sonic, investigating the liminal boundaries of sonic perception and consistently challenging convention. On 'First Recordings 1978-1985 V1.2', VoD have mined his archives to present a huge range of otherworldly recordings. LP 1, a split between AQM and LAMFS entitled 'Organic' features primordial 18 minutes of 'Broken Promise' and nine minutes of "water drum" on 'Gala', plus abstract 7" experiments with Chris & Cosey. LP 2 features his work with shortwave radio including a jarring cut-up of 'Police Radio'. LP's 3 and 4 supply the mind-bending extended noise abstractions of 'Riot' and 'Brutal Birthday Soundtrack from 1984 and 1985, plus some shorter elemental drone and noise pieces. LP 5 features the disturbing acousmatic erotica and swampy VHS-tape noise of 'Phantom' and 'Purge'. Seekers of the outer limits should look no further - this is another spellbinding set from this reliably lavish imprint.